The Chapter 7 bankruptcy means test can determine if a Arizona petitioner’s income level and expenses are eligible to file for a Chapter 7 bankruptcy. The formula is designed to prevent individuals from Chapter 7 bankruptcy if they make enough money to pay down unsecured debts. If an individual does not qualify for Chapter 7 as determined by the Means Test of Arizona, he or she may be able to file for a Chapter 13 bankruptcy to repay a fraction of the accrued debt. Taking the Chapter 7 means test does not necessarily entail that an individual has to be impoverished to be able to file for a Chapter 7 bankruptcy. An individual who qualifies for a Chapter 7 bankruptcy in Arizona may still have a high income if he or she has high car and/or mortgage payments, high taxes, and/or other expenses. Another important factor is that you only need to take a means test if the bankruptcy filer has predominantly consumer debts in Arizona, not business debts. If your earnings exceed Arizona’s average income, which currently hovers around $51,492, the means test’s calculations become more complex. You must then calculate how much of your income is available to pay off your debt. If this income surplus is extensive, you have failed the Chapter 7 bankruptcy means test and cannot file for a Chapter 7 bankruptcy. It is important to note that determining the “average” level of income depend on the residential state and household size. It also depends on the petitioner’s city and/or county. The domestic location of the petitioner can greatly impact the acceptable means test amounts. For instance, wealthier counties in Arizona, such as Paradise Valley, will naturally demand a higher cost of living than others, which may benefit your bankruptcy petition. Passing the means test is not the last step in the process, as it is not the only qualifying factor. In Arizona, petitioners will be required to also submit two forms. These forms are known as Schedule I (Income) and Schedule J (Expenses). If the individual has an income surplus, he or she will be court ordered to pay creditors monthly. This changes the case to a Chapter 13 bankruptcy. 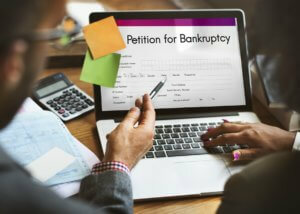 Finally, qualifying for a Chapter 7 bankruptcy does not mean that a petitioner must file one. The test will simply determine that the petitioner can file for a Chapter 7 bankruptcy. It is important to explore all the available alternatives prior to making a decision. A qualified bankruptcy attorney versed in the laws local to Arizona is a invaluable resource for determining if a Chapter 7 bankruptcy is the best decision.